In this program we introduce scuba diving to 8 years old children and above in a swimming pool less than 2 meters deep. Youngsters get a chance to experience what scuba diving is like under the direct care and supervision of a PADI Instructor. 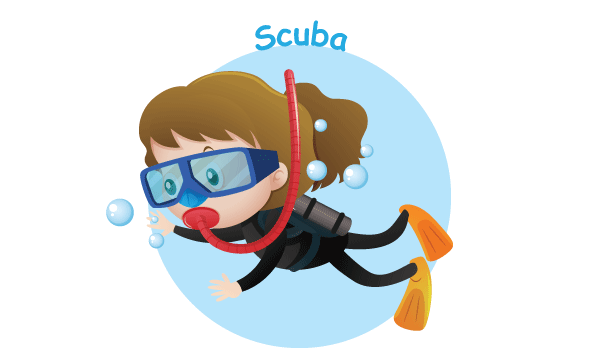 They will also take their first breath under water, learn about and use scuba diving equipment. Children use all the basic scuba gear. Unit price for 12 session(s) (฿ 542/session).